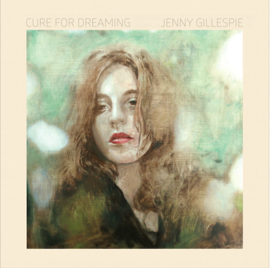 Cure for Dreaming is a deep album. It is an intense album. Not in the sense of being heavy or loud, more that it requires concentration. You'll benefit from it if you invest in it. I should know. The first couple of times I listened, I was trying to do other things at the same time and it seemed to wash over me. A complex suite of songs, ranging from the slinky 'No Stone', to the unexpectedly joyous 'His Voyage Innocent', it is all too easy to miss the incredible level of musicality at play here. I found it hard to digest upon 'casual' listening, but, sitting down properly, was astounded simply by how much there is here to eulogise over. Take, for instance the jazz-tinged 'Part-Patawotomi'. It is built around a gorgeous breathy set of vocal harmonies, a crisp but spot on acoustic guitar lick and a beautiful recurring bass riff. It widens its palette to include sumptuous strings, and as it reaches the climax of what could loosely be called its chorus, it resolves wonderfully from minor to major, in an unforseen but glorious moment. It's the sort of song that comes along all too infrequently. As I try vainly to think of what to compare it to, the closest I can find is the chamber pop of Jonathan Wilson, another singular talent who, to me at least, as yet remains criminally underrated. Like Wilson, Jenny Gillespie seems to be a musician growing ever more comfortable with who she is. I imagine her as someone who'd love you to love her music, but from whom it would continue to pour our regardless of whether or not anyone ever responded to it. A true artist. So, where are we then? I'm chastising myself for not listening well enough in my early relationship with this album. I'm encouraging, no I'm begging that you don't make the same mistake I did and give this resonant piece of work your full attention, the kind of attention it deserves. You won't be disappointed.